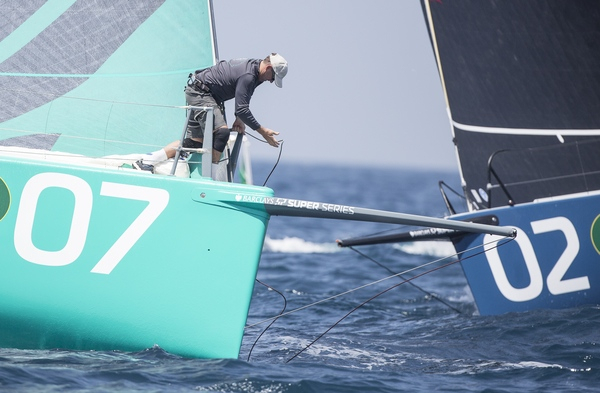 World Champions Rán Racing, Niklas Zennström’s, team proved they are tuned up and ready to defend the title they won in Miami in spring 2013 when they won a fluky, light winds practice race as the nine boat fleet warmed up today for the Audi TP52 World Championship off Porto Cervo, Sardinia. 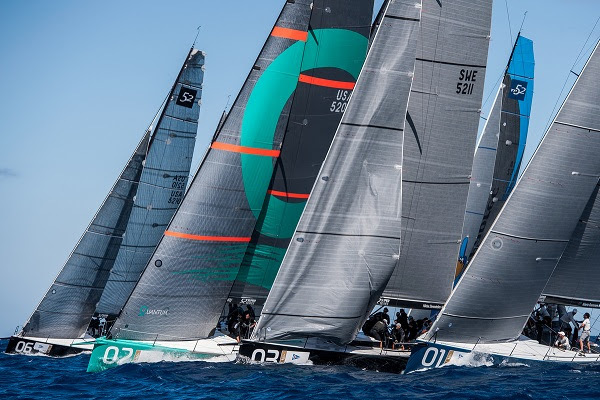 While the regatta is the second of the season-long Barclays 52 Super Series, around the dock at the Yacht Club Costa Smeralda today there is no doubting that the crews see the TP52 world title as an important target for their season. 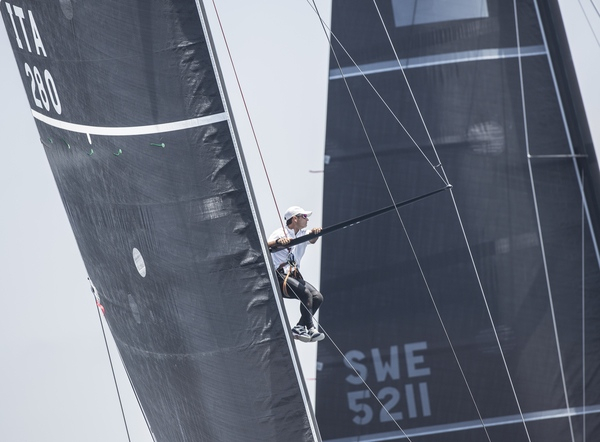 With potentially three days of coastal races, sailors were preparing for a very different set of challenges to those which they dealt with last month in Capri. 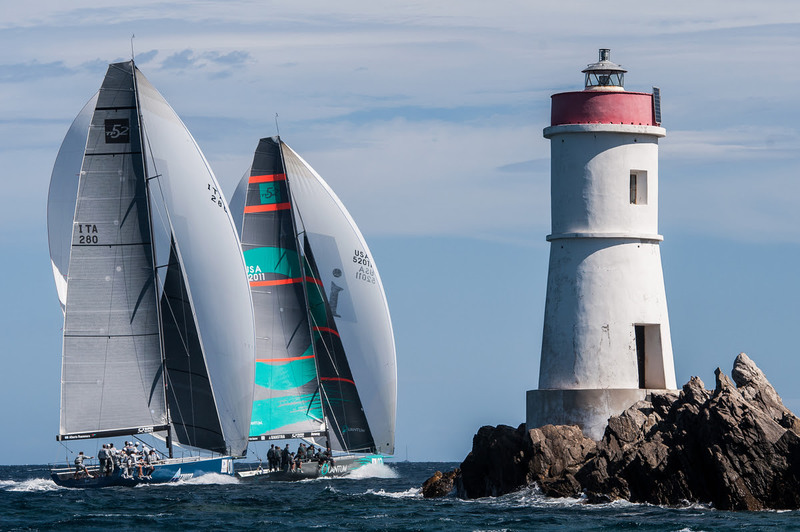 Racing in among the rocks and islands of the spectacularly beautiful archipelago between the NE corner of Sardinia and the islands of Caprera and La Madalena is some of the best in the world. Even if some of the leading sailors in the fleet have done dozens of world class regattas here, there are always surprises. 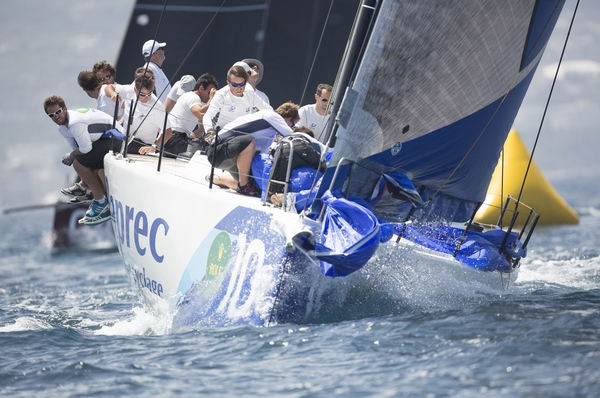 Indeed Vasco Vascotto (ITA) the tactician of Azzurra, the host’s Yacht Club Costa Smeralda, finished the practice race today and then went out to do his extra homework, taking a RIB to reconnaissance some of the key areas, just to be extra sure. “Be sure there are more rocks out here than there were before. 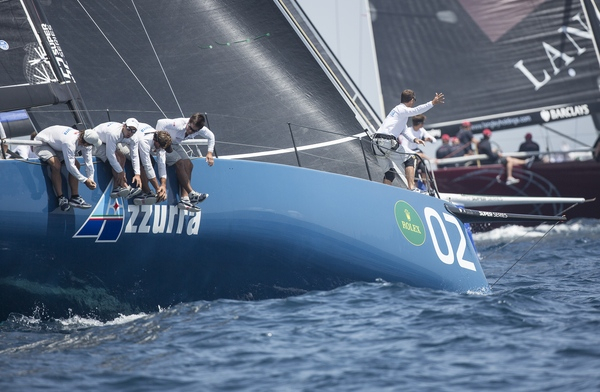 There are plenty,” joked Vascotto, who would love to deliver Azzurra’s home club the world title on their own waters. But his homework could take all night as the YCCS’s book of courses contains no fewer than 40 options. Light winds are expected for the first few days of the regatta which starts Tuesday and finishes Saturday. 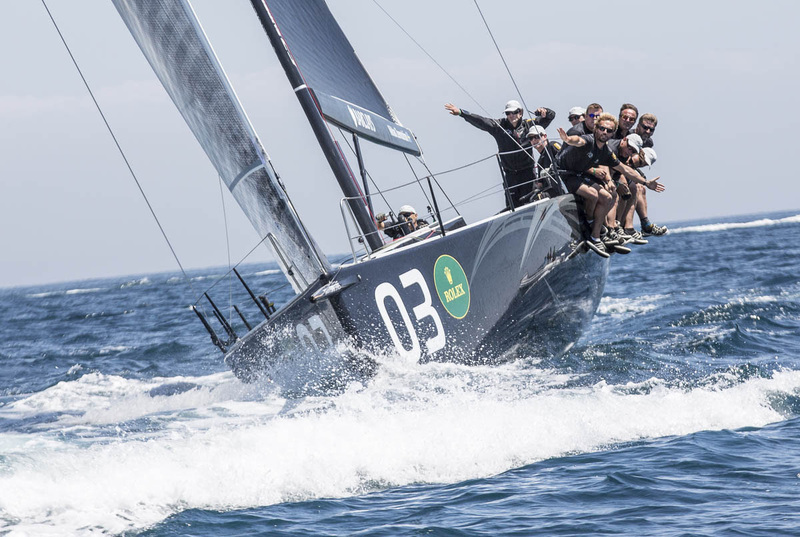 Rán Racing’s British tactician Adrian Stead confirms that his crew are sure they are on the up, and ready to hold on to the title they won against Azzurra on the last race in Miami in March. “The title is ours to defend. Dead right we are here to defend it and want to win it again. We want it for another year. We love it here and we feel we are on the up. We have won here. It is a great place to sail and there is always something going on. Today there was a little bit of tide which came in and made a difference at the gate,” said Stead. 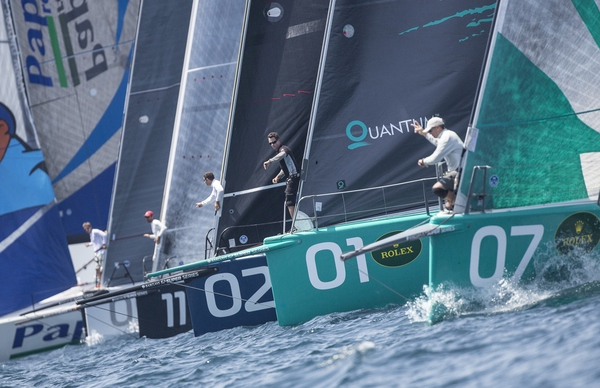 Unfortunately Quantum Racing’s team owner Doug DeVos will not be in Porto Cervo to steer his yacht. He made a sudden change of plans due to business reasons four days ago, having planned to be here for the previous nine months since the dates were announced.